Mortgage giants Fannie Mae and Freddie Mac have been cast as the major villains of the financial crisis, but Michael Hudson reports that Wall Street firms were the prime offenders. Ask many Americans who’s to blame for the nation’s economic mess, and two names come to mind: Fannie and Freddie. They see Fannie Mae and Freddie Mac as the villains of the financial crisis. GOP.gov, the official website for Republicans in the House of Representatives, says flatly: “Fannie Mae and Freddie Mac were the main cause of the nation’s current financial turmoil.” Many critics, including Republican appointees to the federal Financial Crisis Inquiry Commission, blame the two government-chartered mortgage underwriters for pushing lenders to make riskier loans and leading the way into the financial crash. There’s a problem with this narrative: The numbers tell a different story, a Center for Public Integrity review finds. The evidence indicates Fannie and Freddie contributed to the mortgage meltdown, but they played a secondary role to Wall Street. Wall Street firms and the mortgage lenders they bankrolled led the growth of the market for subprime loans and other risky mortgages. Government data show Fannie and Freddie didn’t take the same risks that Wall Street’s mortgage-backed securities machine did. Mortgages financed by Wall Street from 2001 to 2008 were 4½ times more likely to be seriously delinquent than mortgages backed by Fannie and Freddie. Tagging Fannie and Freddie as the primary suspects in the mortgage debacle diverts attention from bigger offenders and from policy decisions that helped create the climate for out-of-control lending. Some 6 percent of Fannie- and Freddie-sponsored loans made during that span were 90 days late at some point in their history, according to Fannie and Freddie’s regulator, the Federal Housing Finance Agency. By contrast, the FHFA says, roughly 27 percent of loans that Wall Street folded into mortgage-backed investments were at least 90 days late at some point. Fannie and Freddie, Cecala said in a telephone interview, didn’t start making a big move into riskier mortgages until the mortgage boom was already under way, and they were fighting to reclaim market share they’d lost to more aggressive Wall Street players. Even then, they were more cautious than Lehman Brothers and other investment banks. For example, just over 15 percent of Fannie- and Freddie-backed loans made in 2007 have been seriously delinquent, compared to nearly 42 percent of mortgages bankrolled by Wall Street, according to the FHFA. None of this should excuse Fannie and Freddie for their role in the mortgage debacle. Their latter-day bets on high-wire mortgages contributed to a sea of government red ink and exacerbated the size of the mortgage meltdown and level of pain that borrowers and other Americans are now suffering. Taxpayers have already had to shell out some $150 billion to keep them alive. In comparison, taxpayers have shelled out more than the $145 billion to the eight largest Wall Street banks, but they have repaid most of the bailout money extended to them by the government. When it comes to public policy, though, a sense of context and proportion is important. Tagging Fannie and Freddie as the primary suspects in the mortgage debacle diverts attention from bigger offenders and from policy decisions—such as deregulation in the mortgage market and on Wall Street—that helped create the climate for out-of-control lending. A spokeswoman for the House Republican Conference, which publishes GOP.gov, did not respond to requests for comment. The debate over Fannie and Freddie’s role is likely to heat up in late January, when the Financial Crisis Inquiry Commission is expected to release its report to the nation. The 10-member commission, created by Congress to investigate the economic disaster’s causes, has been split by discord between Democratic and GOP appointees. According to Democratic member Brooksley Born, Republicans insisted that the words “Wall Street” and “deregulation”] be banned from the panel’s final report. Peter Wallison, a Republican appointee to the commission, responded that the GOP members didn’t seek to “ban” any words—they simply wanted to ensure that terms such as “Wall Street” were used with precision. 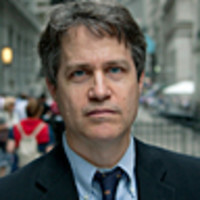 Critics of the primer counter that Countrywide Financial Corp., Ameriquest Mortgage, and other aggressive lenders made dicey mortgages not because of government incentives or pressure, but for simpler reasons: The loans were wildly profitable and investors were willing to shell out trillions of dollars to fund them. That’s a big chunk, but still not enough to make the case that Fannie and Freddie were the main drivers of the growth in risky lending. • As of September, Federal Reserve data show, 2.2 percent of Fannie- and Freddie-backed mortgages were in foreclosure, compared to 13 percent of all subprime mortgages, 11.3 percent of all Alt-A mortgages, and 2.9 percent of all prime mortgages. Fannie and Freddie, in other words, have outperformed the overall mortgage market. If they had been the real ringleaders of the mortgage debacle, the numbers would tell a darker story. When it comes to the lending spree that sparked the financial crisis, Fannie Mae and Freddie Mac were followers, not leaders. They were, at first, not-so-innocent semi-bystanders and, eventually, too-willing accomplices who followed Wall Street as it led the nation’s economy off a cliff. Michael Hudson is a staff writer with the Center for Public Integrity and author of The Monster: How a Gang of Predatory Lenders and Wall Street Bankers Fleeced America—and Spawned a Global Crisis.